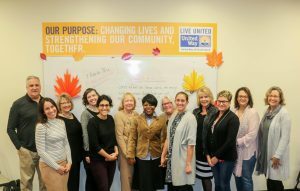 Providence, R.I. (February 20, 2018) Following the success and positive feedback of their inaugural Executive Director Learning Circle Series in 2017, United Way of Rhode Island (UWRI) and BankNewport have partnered again, selecting 10 local leaders to participate in the educational program. To help strengthen the state’s nonprofit sector, BankNewport has committed $40,000 per year for three years. Developed specifically for executive directors of Rhode Island-based nonprofits with annual budgets less than $1 million, the series began on January 19 and consists of 11 sessions. 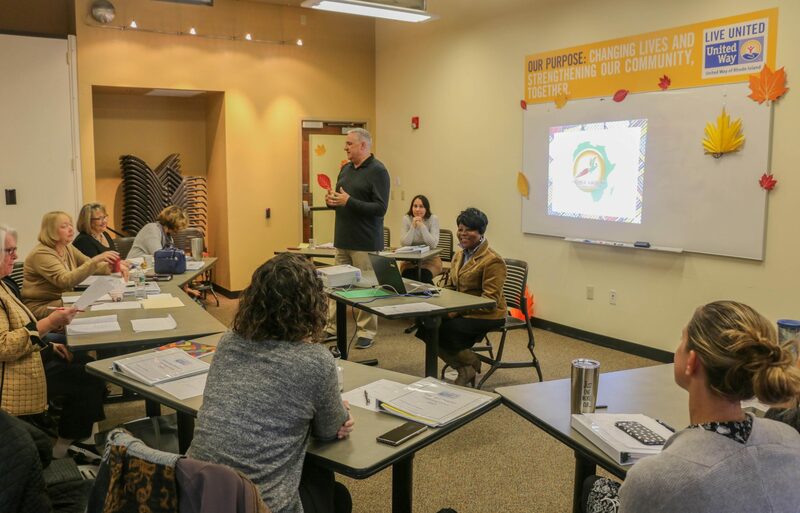 Each session is designed to help organizations increase their capacity to serve more Rhode Islanders, and improve the delivery of their services. The group meets on the third Friday of each month at UWRI’s Providence headquarters. Gail Ahlers, Empowerment Factor, Christopher Butler, Insight, Maury Davitt, The John P. Burke Memorial Fund, Carlon D. Howard, Breakthrough Providence, Helene Miller, Partnership for Providence Parks, Kari Nel Lang, West Broadway Neighborhood Association,Kelly Nevins, Women’s Fund of Rhode Island, Aline Binyungu Nzigire, WRC Women’s Refugee Care, Toni Marie Roderick, Mount Hope Learning Center, Elana Rosenberg, Youth Pride, Inc. Founded in 1819 and headquartered in Newport, BankNewport offers a full suite of loan and deposit products and services for families and businesses throughout Rhode Island. In addition, OceanPoint Insurance Agency, Inc., a subsidiary of BankNewport, offers a broad range of property casualty insurance products and a full array of financial services. With 15 banking offices and $1.5 billion in assets, BankNewport is one of the oldest community banks in the United States and, as a mutual organization, is committed to the financial success of its customers, employees and communities.